김세규 부동산 홈피를 방문해 주셔서 대단히 감사합니다, 그리고 이렇게 만나게 되어 진심으로 기쁩니다. 집을 구매하거나, 판매, 렌트를 하는데 있어서 제일 중요한 것 중에 하나는 실력과 경험 그리고 믿을수 있는 부동산 에이전트를 찾고 일을 맡기는 것입니다. 2005년 부터 일을 시작 하면서 줄곧 full-time으로 일해 오고 있는 텍사스 어스틴에서 준비되어 있는 김세규에게 연락 주십시요! 중고등학교때 공부에 관심이 없고 대학 목표 없이 1994년 고등학교를 하위 10%로 졸업 했습니다. 같은해 12월 나약하고 자신감 없이 살면 안되겠다는 생각에 해병대 지원 입대 하고 훈련소에서 수색 병과를 지원하여, 김포 2사단 수색대에서 근무하며 악마 같은 수색교육에 내무 생활에 각종 훈련 및 교육들을 받았습니다. 1997년 2월 제대후 혼자 독립하여 사회 생활 하겠다는 마음으로 인천 산업 잠수 업계에서 직장 생활을 하며 NAUI 잠수 협회 강사 자격증을 취득하고 근무하던 중 1998년 12월 가족가 함께 미국 텍사스 휴스턴으로 이민을 왔습니다. 이민 초기 미국 잠수 학교에서 교육받아 미국 잠수업계 에서 일하려던 꿈은 바로 깨지고, 공부하지 않으면 살아 남지 못한다는 것을 깨달았습니다. 영어는 3인칭 단수와 수학은 인수분해도 모르고 헷갈리던 때, 계란으로 바위를 깬다는 마음으로 중학생 영어, 수학 공부 부터 시작했습니다. 야구장 관중석 음료수 벤더, 게스 스테이션 & 세탁소 캐셔, 식당 웨이터등 full-time 일들을 병행하며 휴스턴 침례대학교 및 커뮤니티 컬리지 (HCC)에서 어학연수 및 대학 기본 과목을 이수했습니다. 2002년 한국 월드컵 기적의 4강 진출을 하던 해, 정말 꿈 같은 어스틴 텍사스 주립대 비지니스 스쿨 편입 어드미션을 받아 어스틴에 왔습니다. 2005년 UT에서 전공을 ‘마케팅’, 부전공을 ‘부동산’으로 공부하고 졸업을 했습니다. 대학 졸업반 때부터 무에서 유를 창조한다는 일념으로 아파트 로케이터 섬머 인턴을 시작으로 Keller William Realty 에서 Agent로 일을 시작해서, 2009년 부터 부동산 Owner 및 Broker 로서 김세규 부동산 (Austin Grace Realty LLC) 을 운영해 오고 있습니다. 2007년 한국에서 온 아내와 결혼하고, 2008년~2009년 그 힘든 금융위기 기간을 잘 넘기며 버티고 부동산 일을 꾸준히 했습니다. 그 와중에 어스틴에서 축복의 세자녀를 낳고 부모로서 살아 오고 있습니다. 최근 몇년간 급속도로 발전하는 어스틴 부동산 시장을 보면 감회가 새롭습니다. 텍사스 어스틴에 대학생으로, 자영업자로, 남편으로, 부모로 그리고 이민자로 살아오고 있습니다. 무언가를 성취하기 위해선 목표를 분명히 정하고 그 목표를 위해 매일 아침 저녁으로 종이에 적고 머리속에 그리고 실패와 좌절에도 오뚜기 처럼 일어나 액션을취하며 포기하지 않는 사람만이 만들수 있다고 확신합니다. 믿고 맡길수 있는 비지니스 파트너가 필요하시다면 어스틴에 준비되어 있는 김세규에게 연락 주십시요! 나의 형, 누나, 동생, 부모님, 친가족이 사는 것으로 사고 팔고 찾아 드리겠습니다! 가족과 함께 살기 좋은 도시! 젊은이들이 살기 좋은 도시! 비지니스 시작하기 좋은 도시! 가장 빨리 발전하는 도시! 라이브 음악, 힐 컨츄리, IT, 텍사스 캐피탈 도시 ! 전미에서 가장 살기좋은 도시 1위! 오스틴에 오신 것을 환영합니다! 저희는 타주에서 이사오기전부터 김세규 리얼터님의 도움을 받았습니다. 먼저 많은 집들을 온라인으로 저희들에게 보내 주셨고 그중에서 저희들의 마음에 드는 유형의 집을 찾은후로는 매우 상세하고 친절한, 그러면서도 정확한 정보를 저희들에게 주실려고 많은 노력을 해주셨습니다. 무엇보다도, 직접 얼굴을 보지않고서 원거리에서 정보를 주고 받음으로해서 생겼던 답답함과 오해를 친절함과 상세한 설명으로 많이 해소를 해주셔서 저희들로서는 굉장히 고마웠습니다. 나중에 집을 직접 같이 보러 다니고 해주실때도 주중에는 저의 일과후 시간에 맞추어서 늦은 시간까지도 성실히 친절히 저희들을 도와주셨습니다. 그리고 저희들이 원하는 집을 찾고나서 인스펙션, 가격흥정, 집 인도전 전주인에 의한 하자 보수 및 심지어 집 융자건까지 모든것을 김세규님의 정확한 정보에 기반한 빠른 추진력으로 저희들이 예상한 시간안에 차근차근 잘 마칠수 있도록 아주 큰 도움을 주셨습니다. 김세규 리얼터님의 장점은 친절하면서도 정확성을 기반으로한 빠른 추진력 그리고 집 클로징까지 끝까지 책임져 주시는 성실함이라고 말할수 있겠습니다. Se-Kyu was more than an ideal realtor for us as we are new to the area. He had so much information to share as to where to do groceries, where the best schools are, how the traffic flow works during rush hours, what the atmosphere is like in each neighborhood, etc., that we were able to narrow down to a neighborhood that suits us best. We actually had a different area in mind when we initially searched online but his information played a huge role in changing our target area and we are so glad we did! As we are also first-time home buyers, he kindly pointed out to us the different aspects we should look at when buying a house every time we walked through one. He was also very keen on figuring out what exactly it is that we desired in a home and saved us a lot of time by narrowing down options to the ones that were worth looking at in person. At times, when we found an attractive house among the ones he sent us online, he even went out on his own to look at it for us as an initial screening to inform us whether it was worth another trip for us to go down to Austin to see it in person. When it came to putting in offers, I was impressed at how knowledgeable he is of the current market trend and rates. He performed a thorough market analysis of the area and worked his best to reach a price we were shooting for. He also did a fabulous job in speaking on our behalf and getting the most out of the deal. 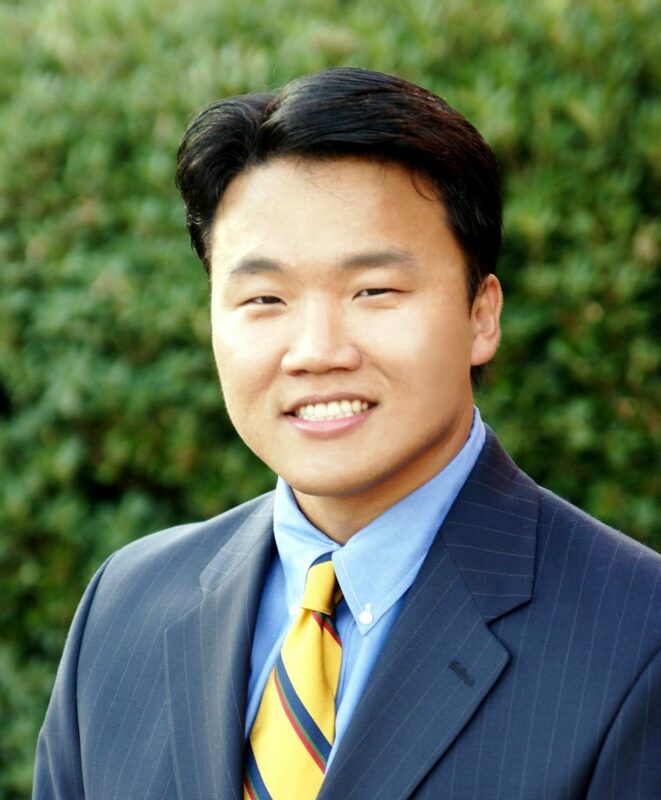 Se-Kyu is a reliable and competent realtor and really a great person you can trust. He will communicate with you and respond to your calls and texts right away. He is a good man at heart and will speak and work for your greatest benefit. He really goes out of his way to serve you the best way he can. We are so happy in our new house and we thank Se-Kyu for playing a huge instrumental role in finding us a wonderful home! 김세규부동산에 집을 맡긴건 정말 최고였습니다. 일단 이분은 우리집을 열정을 다해서 본인집을 구하듯이 발로 뛰며 찾아주셨습니다. 그래서 결국 내가 원하는 모든 조건을 다 갖춘 집을 사게 되었습니다. 다 김세규부동산 덕분이라고 생각합니다. Colin was highly recommended by one of my friends who bought his house recently. As a first home owner, Colin was the one we are looking for to hold our hands from house hunting to closing. My wife and I were very impressed by him in every step of house purchasing; 1) in the house hunting step, he carefully listened to us and tried to make visits for the houses that potentially meet our needs in a timely manner. After every visit, Colin and we had a lengthy discussion about the current market value, future value and asking price of each house, which helped us to narrow down targets. 2) In the offering step, his knowledge about the Austin house market substantially saved our time and energy. He suggested multiple yet effective offering strategies based on his previous experience and statistical analysis of house price in the area. In this way, we were able to get familiar with the market and buy a house in the second attempt. 3) In the closing step, we could see him taking cares for his customers. When the closing disclosure release, he walked through with us every single word on the document and caught miscalculation of the interest based on “ONE” more additional day than the original calculation. Based on my experience with him described above, I highly recommend Colin as a trustworthy realtor especially for first home buyers. Realtor Kim had given me and my wife a great house buying experience. He went above and beyond with what normal realtors would not do (past personal experience). Kim knew exactly what we wanted, and what we were looking for when we were looking for a house, and gave great advises when we couldn’t make a solid decision. Most importantly he knew the Austin Area extremely well. Mr Kim followed up with us even after property was purchased with utility companies, network providers, and other sources that a newcomers to the area would not know about. I would highly recommend him as your realtor. Se Kyu, Colin helped my family several times whenever we needed him. He searched for a good rent house for us when I moved into Austin. A few years later, my family asked him to help us with the purchase of my property in Austin. As he was sincere, he went around many places to satify us and find a proper house we were looking for. Suddenly, we had to leave Austin because of my job situation, we also aked him to help us with the sell of my house. To his best, he helped us to sell my property in time. We had a good memory about that situation from his effort. As we worked him several times, I recommend him who is one of the best realtors in Austin area. A few days ago, I met one of my acquaintance who moved to Austin this Spring. I gave him some information about Colin because he has a plan to buy a house. 이런 리뷰 거의 안 쓰는데 저처럼 어스틴에 처음 오고 미국에서 집을 처음 장만하는 사람들에게 도움이 될까하여 몇 자 적습니다. 2년 전에 미국 어스틴에 직업을 구하게 되서 가족과 함께 이주하게 되었습니다. 어스틴에 지인도 없고 와본 일도 없어서 그저 막막해 하던 차에 인터넷에서 김세규 부동산 연락처를 찾아 무작정 국제 전화를 했는데 집 구하는 일 뿐 아니라 어스틴 전반에 관한 상세한 내용을 설명해 주셔서 편한 마음으로 이주하게 되었습니다. 처음 1년은 회사에서 제공한 아파트에서 살게 되서 그 후로 연락할 일이 없었는데 집을 장만하겠다고 와이프와 결정하고 여기저기 부동산에 연락해 보았습니다. 다들 친절하게 도와주시기는 했는데 김세규 부동산이 조금 달랐던 점은 필요한 자료를 상세하게 프린트해서 공유해주었고 어스틴에 대한 이해도가 다른 분들에 비해 꽤 차이가 났습니다. 특히 미국에서 처음 집을 장만하는 사람에게 house, condo, apart 등의 차이와 집 장만 프로세스, 세금 관련한 내용, 집을 볼 때 어떤 부분을 고려해야 하는지, 리스크는 무엇이 있는지 등등 기초적인 사항부터 구체적인 내용까지 설명을 잘 해 준 점이 큰 도움이 되었습니다. 저와 와이프가 좀 꼼꼼하기도 하고 결정하는데 시간이 오래 걸리기도 하는 편이라 거의 3개월 이상을 이집저집 찾아보았고 같은 집도 여러번 다시 찾아보았는데 마음 불편하지 않게 적극적으로 도와준 점도 큰 마음의 위로가 되었네요. 집을 선택한 후 seller와 많은 것들을 네고하는 과정에서는 제가 보기에는 다소 과하다 싶은 정도로 싸워주시도 했고 덕분에 작지만 신경쓰이는 부분들을 꽤 해결하고 들어왔습니다. 예를 들어서 실링 팬이 너무 높게 달려있고 바람 세기 조절하는 선 끝에 장식품이 없었는데 이런 부분까지 다 얘기해서 받아냈네요. 참고로 지인이 두 명 어스틴에 이주했는데 둘 다 김세규 부동산 추천해 줘서 집 잘 장만하고 지내고 있습니다. 낯선 이국 땅에서 집을 구입한다는 것은 참으로 어려운 일입니다. 그러나 다행히 김세규 Agent를 만나 예산에 맞는 좋은 집을 구입하게 되어 리뷰를 남깁니다. 김세규 Agent 홈페이지에서 제공하는 매물검색을 통해서 다양한 매물을 실시간으로 검색해 볼 수 있어 선택에 도움이 많이 되었습니다. 또한 김세규 Agent가 가격과 지역을 고려하여 구입가능한 매물들을 이메일로 보내주었습니다. 매물 중에 괜찮은 집들이 있으면 함께 방문하여 집들의 장단점을 상세히 설명해 주었습니다. 전화 연결이 되지 않은적이 없었고 이메일도 한시간 이내로 답장해 주어 커뮤니케이션이 잘 되었습니다. 집을 구입하면서 필요한 융자, 보험, 기타등등의 다양한 절차를 진행할 때도 김세규 Agent가 거래하고 있는 신뢰할만한 업체들을 다양하게 소개시켜 주셔서 순조롭게 진행할수 있었습니다. 집을 구입하고 난 후에도 처음 집을 구입하는 거라 모르는 것들이 많았는데 그때마다 전화하면 친절하게 안내를 해주셨습니다. 어스틴에서 집을 Rent 하시거나 구입하실 예정이라면 김세규 Agent를 추천합니다. 특별히 초등학생 자녀를 가진 분이라면 어스틴에서 아내와 함께 두 딸을 키우면서 10년간 부동산일을 하고 있는 김세규 Agent를 강력하게 추천합니다. 캘리포니아에서 이사하고 어스틴에 정착하기위해 집을 사려고 부동산을 찾다가..이분을 만나게 되었다..첫인상과는 달리 아주 친절하고 무엇보다 동네에 관한 설명을 자세히 해주셔서 오스틴에 관해 잘 모르는 나에게 아주 큰 도움이 되었다..집을 산 이후에도 모르는 부분이 있으면 친절하게 도움을 주셨다..
한국에서 온지 얼마 안되어서 미국사정을 잘 몰라서 집을 사는데 어려움이 있었지만 김세규씨가 친절하게 잘 설명해주시고 안내해주셨습니다. 저렴한 이자에 Loan 브로커도 소개해주시고 저희가 키친과 Floor 를 업그레이드 했는데 품질이나 가격이 훌륭한 업체를 잘 연결해주셨어요. 그외 정착에 필요한 가이드 라든지, 집을 처음 사시는 분들에게 필요한 상식이나 DIY 지식을 많이 배웠습니다. 한국에서 부동산에서 집을 알아볼때 너무 많이 쇼핑을 하게되면 리얼터가 짜증이 나게 마련인데요, 이분은 고객의 가족구성원에 따라 각 집의 장단점을 분석해주시고 본인의 경험까지 보태서 집을 쇼핑할수록 미국주택에 대해 더 자세히 파악할수 있게 도와주셨습니다. 믿고 따라주시면 분명 후회없는 결과가 있을거같습니다. Se Kyu is the best realtor I have ever worked with. 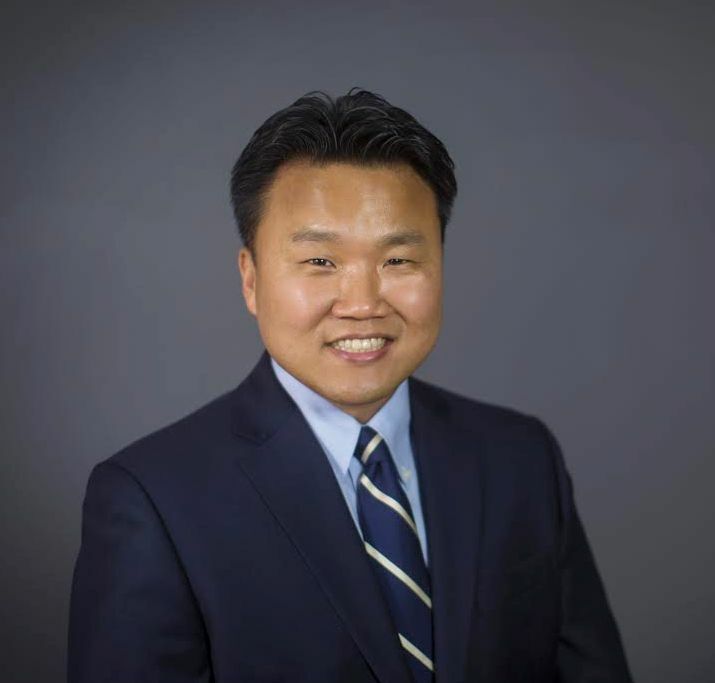 He is very knowledgeable, has good relationships with builders and sellers, knows the Austin area very well, and understands the needs of Korean families very very well. Most of all, he is a very pleasant person to work with. He also has a strong and influential relationships with people in the Korean society in Austin. I had a lot of help from Se Kyu in blending into the Korean society. So if you are a Korean planning to relocate in Austin, Se Kyu is the must-go-to realtor. I highly recommend him. 김세규님은 제가 지금까지 만났던 부동산 중개업자 중 최고였습니다. 부동산 관련 지식도 풍부하시고, 빌더돠 셀러들과도 좋은 관계를 유지하시고, 어스틴 지역에 대해 매우 잘 알고 계십니다. 또한 한국인 가정의 필요를 잘 알고 집을 추천해주십니다. 그리고 무엇보다 사람이 너무 좋으십니다. 어스틴 한인 사회 내 인간관계가 매우 넓으셔서 저와 저희 가족이 어스틴 한인 사회에 정착하는데 정말 많은 도움을 주셨습니다. 어스틴에 새로 정착하시려는 한국인이시고 집을 구하시는 중이라면 김세규님께 먼저 연락해보시기를 강력히 추천합니다. Colin helped me to purchase my property when I first moved in Austin. He knew exactly what type of property I was looking for, spotted one that I like the most, and took care of the end to end purchasing process with me patiently. In my opinion, he is one of the best realtors in Austin area. 저는 이제 막 closing 까지 완료했는데, 그 모든 과정을 열심과 성실로 도와주신 김세규 사장님께 감사 드리고 싶습니다.한국에서 온지 얼마되지 않아 집 사는 과정과 용어라든가 집을 보는 안목 같은게 전무한 사람에게 미국에서 주택 구매는 어려운 선택이더군요. 이럴땐 김세규 리얼터처럼 신뢰할 수 있는 전문가의 도움이 미국에서도 있다라고 알려드리고 싶습니다.물론 인터넷으로 정보도 많이 접할 수 있지만 하나하나 세심하게 챙겨주는 전문가의 도움이 꼭 필요한다는걸 알았네요. 깜박하고 넘어갈 것들이 좀 있었거든요.어스틴 지역 특히 에버리랜치 지역 전문으로 한다고 하시던데, 오랜 경험으로 두루두루 잘 알고 정보를 제공해주십니다. 어스틴 이주 계획 중이거나 어스틴 안에서 이사 계획 중이시면 한번 꼭 연락 해보세요. As a Realtor, Se Kyu is very trustworthy. He is also very knowledgeable, sincere and professional on what he does best: buying, selling, leasing, etc. He is always upto date on the housing market around the area. I’ve done renting an apartment, leasing a house and buying a house with him and he’s been there for me all times. I can highly recommend him to anyone for their housing needs. He will be there for you~! 한국에서부터 어스틴 정착을 위해 여러가지를 알아보고 있다가 인터넷상에서 김세규부동산을 알게 되어 아파트 렌트를 계약하게 되었습니다. 미국에 방문하기 전에 여러가지 문의 사항들에 대해서 즉각적으로 피드백을 해주셔서 거래에 있어서 신뢰감이 컸습니다. 그밖에도 미국 방문시, 직접 근처 호텔이나 상권에 대해서 알려주신 점도 감사했고, 그밖에 여러 문의사항에 대해 친절히 응대해주셔서 여러모로 도움을 많이 받았습니다. 영어에 익숙하지 않은 한국인에게도 물론이고, 어스틴에 정착하고 싶은 사람에게도 부동산 거래를 추천해 드리고 싶습니다. 캘리포니아에 살면서 오스틴에 투자를 위한 부동산을 구입하는 것은 쉽지 않은 결정이었습니다. 하지만, 모든 과정들이 김세규 리얼터의 프로페셔날하고 헌신적인 도움으로 잘 진행되었고, 적당한 집을 좋은 가격으로 살 수 있었습니다. 세입자 역시 김세규 리얼터의 도움으로 아주 성실한 분이 들어와 있습니다. 아뭏튼 제가 경험한 일들을 다른 분들도 경험하실 수 있기를 바랍니다. Colin Se-kyu is an amazing realtor! He is so dedicated, caring and thorough. I had his help twice for house hunting, one for rent and the other for purchase. We moved to Austin from New York four years ago and my family were looking for a house to rent. Colin was the first person that I reached out to learn about Austin real estate market. He was so kind and knowledgeable, providing us with various useful information including school district for my daughter and traffic between a prospective house and my workplace. That kind of information was really crucial. He even visited all the houses that I was interested in and sent me photos of them. I was able to get the right house without having to travel to Austin for house hunting. Everything was done online thanks to his efficient communication and thorough research. That saved me tons of time and travel cost! We decided to buy a house in Austin last year and we had no doubt that he was the right person and of course that proved to be true again. He was so helpful for us to expand our options and for providing us with various analyses for houses that we were interested in. We are so happy that we got the perfect house thanks to his help! He offered useful tactical advice ranging from communication with buyers’ side, inspection, loan approval process, and even painting. He took care of everything for us from A to Z. We are so thankful that we met Colin Se-kyu! The house that we bought was so satisfying that we feel so happy everyday. He is super professional, understands how important a home is to everyone, and does everything that he can do to help you. We are so appreciative to him. Our life in Austin is so enriching thanks to him! Thank you so much, Colin Se-kyu!!! 처음 가는 곳에서 가장 중요한 일은 주거지를 정하는 것이겠지요. 더구나 한국에서 미국으로 거주지를 옮기는 일은 제도적인 차이, 문화적인 차이로 중요한 일이 어려운 일이 되기 마련입니다. 메일로 몇번 요구 사항을 전달하고, 약속을 잡고 현지에서 만나 뵌 김세규 사장님은 성실하고 믿음이 갔습니다. 크리스찬의 정직함은 기본이었습니다. 렌트 계약을 문제없이 마치고, 오스틴 생활 동안에도 여러가지 좋은 추억이 많았지요. 앞으로도 많은 분들께 멋진 오스틴 생활의 시작이 되어주세요. 어스틴에 첨 도착해서 몇분의 리얼터를 만났고, 김세규씨를 만나 집을 구매했습니다. 최고의 리얼터라고 생각합니다. 좋은 집을 구매해주셨고 바이어의입장에서 생각해주십니다. I have been a customer of Austin Grace Realty LLC since 2007. Colin, a realtor, helped me find a right place in Austin and now he is my property manager. He takes care of properties as well as customers. Here are some points why I recommend Colin as your realtor.